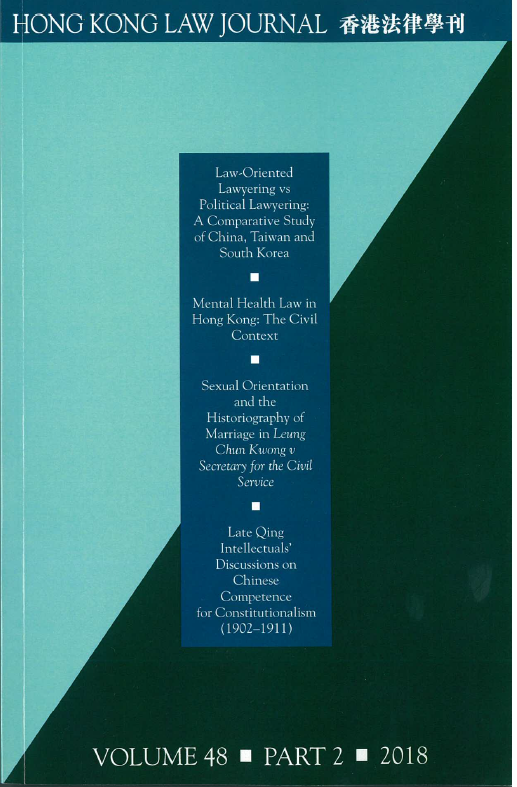 "Mental Health Law in Hong Kong: The Civil Context"
Abstract: This article takes the first step in addressing the paucity of research on mental health law in Hong Kong, in particular the civil context. It argues that the state of civil mental health law in Hong Kong is in dire need of reform due to its archaic nature and insufficient protection of patients’ rights. This article focuses in particular on the following four key areas: (1) compulsory mental health admission and treatment, (2) compulsory mental health treatment in the community, (3) voluntary and informal mental health patients and (4) the concept of mental capacity. It is argued that the law needs to be reformed in each of these areas to ensure that it reflects both modern trends of mental health law, as well as Hong Kong’s commitment to the protection of fundamental human rights.